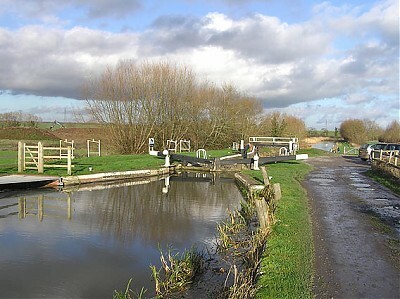 The canal, 23.33km (14.5 miles) in length, passes through the unique lowland areas of Somerset, many parts of which have been designated as Sites of Special Scientific Interest because of The diversity of rare birds and plants which thrive in this unique area. As it meanders between willow lined banks, the Quantock and Blackdown Hills can be seen with Exmoor visible on the skyline. In Somerset the River Tone and River Parrett were part of a small group of river navigation which linked towns such as Taunton, Langport, llminster and Thorney to the town centre of Bridgwater on the River Parrett. This enabled goods such as coal and iron to be brought from ports in South Wales unloaded onto barges and delivered inland to centres of population in the county. This was one of the reasons why the canal was a comparative latecomer in the history of canals. It was built as part of a more ambitious scheme to create a water route between the South Coast of Devon and Bristol, thus avoiding the hazardous waters around Lands End. 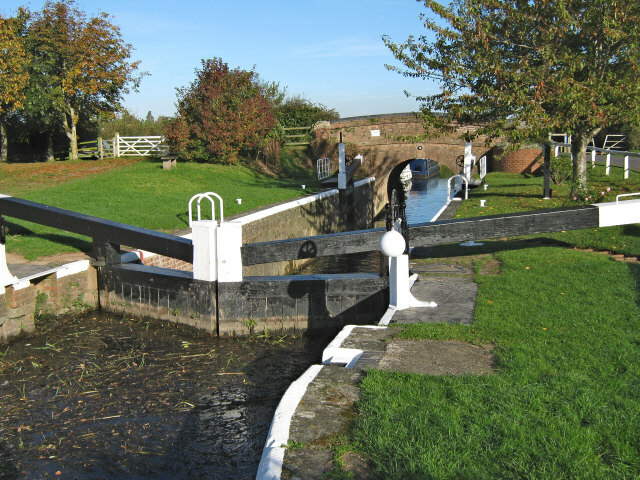 The Grand Western Canal, some of which is in water and in use around Tiverton, and the Chard Canal were extensions to the Bridgwater and Taunton Canal. The Grand Western Canal was to link with the River Exe and thus down to Exmouth and the Chard Canal to with the River Axe and thus to Seaton. These two canals relied heavily on intricate lifting mechanisms which did not prove efficient and thus the life of these two canals, and the ambitious project, was short lived. The canal was opened in 1827 and ran from Taunton and joined the River Parrett at Huntworth. The engineer for the canal was James Hollinsworth. In 1837 a further Act was obtained authorising the extension from Huntworth to Bridgwater and the building of the dock and its entrance lock to the River Parrett. The canal operated very successfully during this period. In 1866 the canal was sold to the Bristol & Exeter Railway Company for £64,000. Control eventually passed to the Great Western Railway who made little attempt to maintain commercial traffic.The last barge tolls were collected in 1907 and the canal has served principally as a water course and drainage channel since. During the Second World War the line of the Bridgwater and Taunton Canal, the Chard Canal and the River Axe became a major defence line in the South West of the County to restrict Hitler\'s movement to strategic docks should he invade.All the iron bridges, which were melted down for the war effort, were removed and replaced with wooden structures that could be destroyed quickly.Pill Boxes and Tank Traps, which can still be seen in place on the canal, were built along the whole length of the defence line. The British Transport Commission took control of the canal in 1947 and in 1962 Today the canal became the responsibility of British Waterways. The canal became one of the first canals to commercially carry water when Wessex Water needed more capacity during the summer months in Durleigh Reservoir. Wessex Water reached a commercial agreement with the then N R A and British Waterways to pump water from the canal to Durleigh.The canal itself maintains its level with water from the River Tone at Firepool Lock, which is its link to navigation of the River Tone. Today the canal has been fully restored by British Waterways, with support from Somerset County Council and local district councils. The bridges along with most structures have been recreated, as they were when the canal was in its prime. Along the route of the canal you will find a scale model of the solar system. The Somerset Space Walk was opened on the 9th August 1997 by the British Astronomer Heather Couper. Click here for further details.